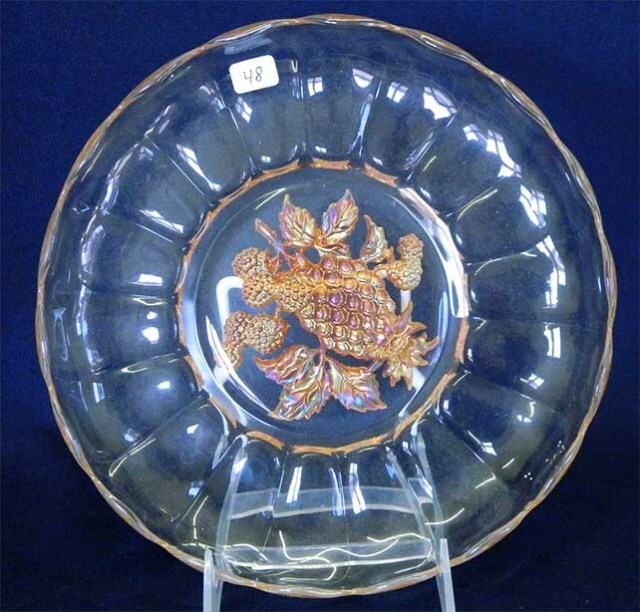 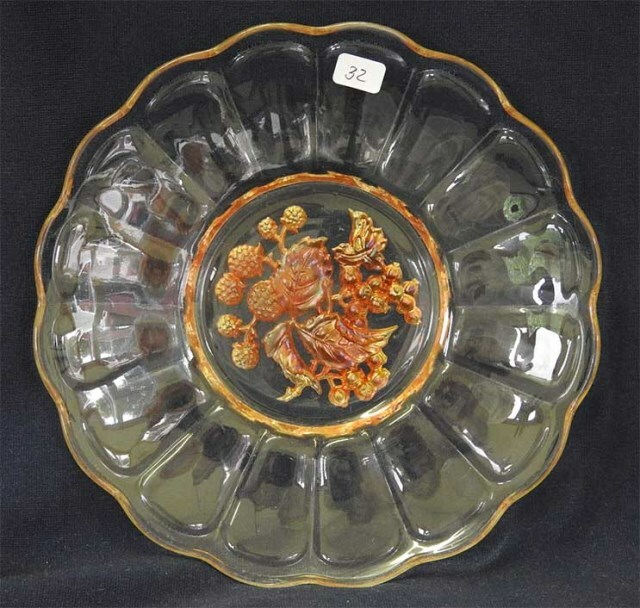 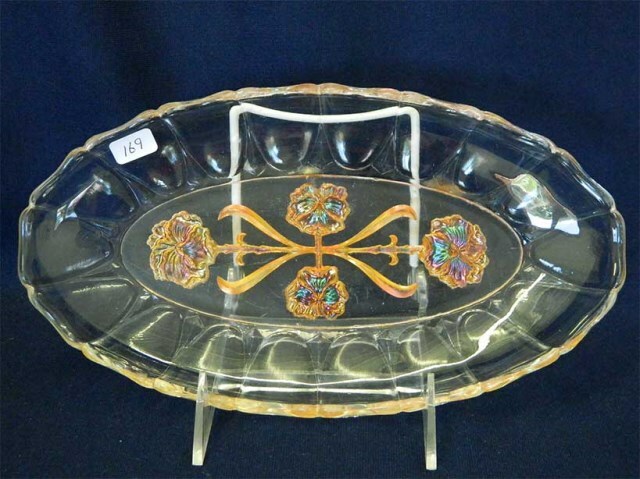 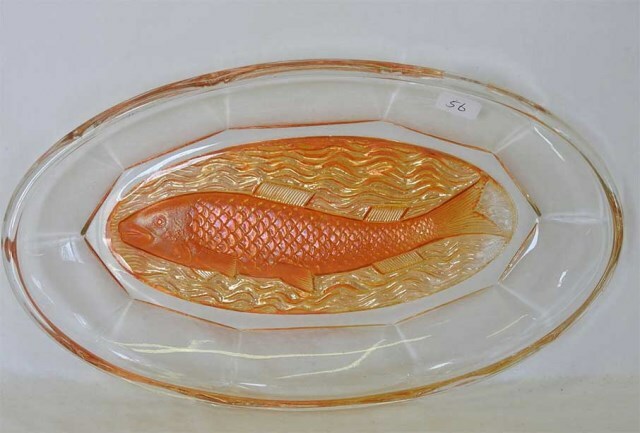 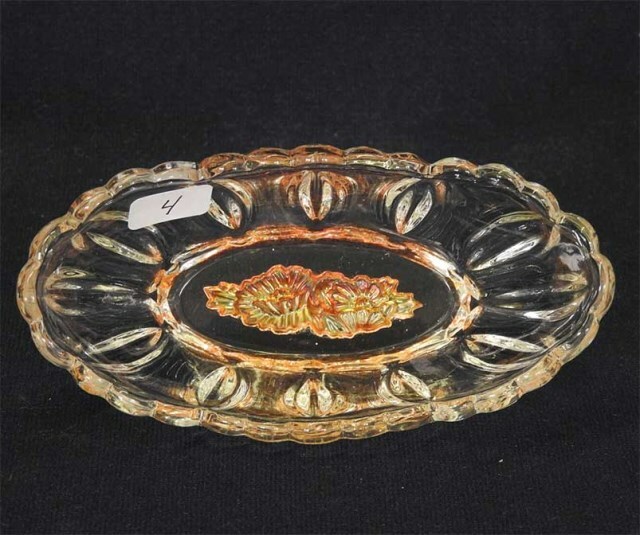 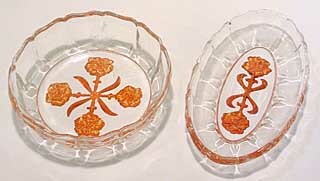 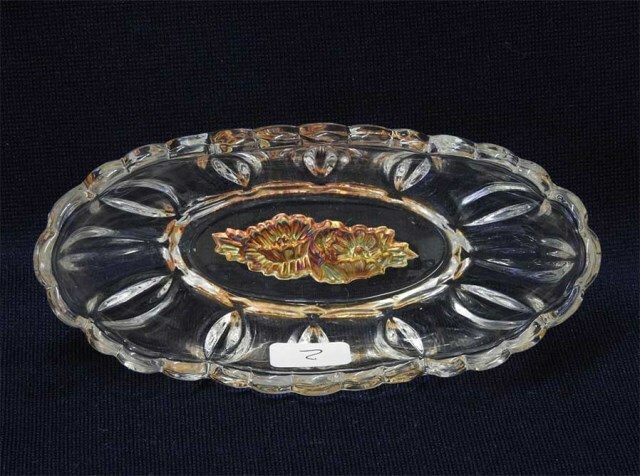 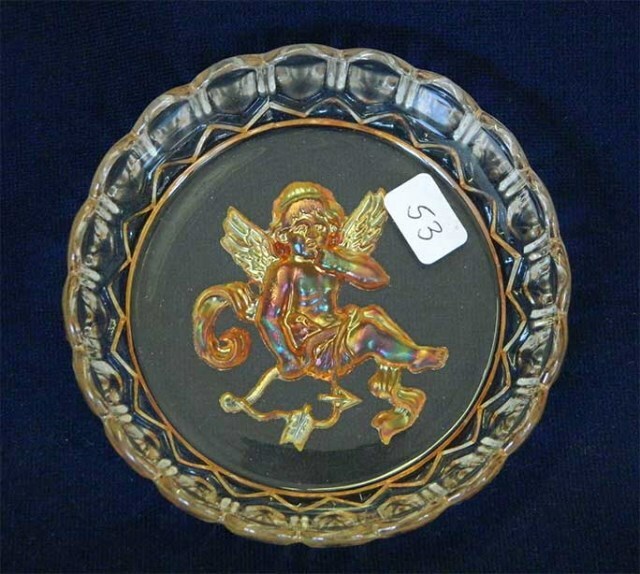 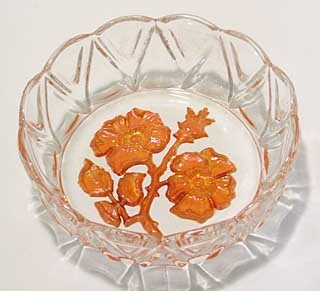 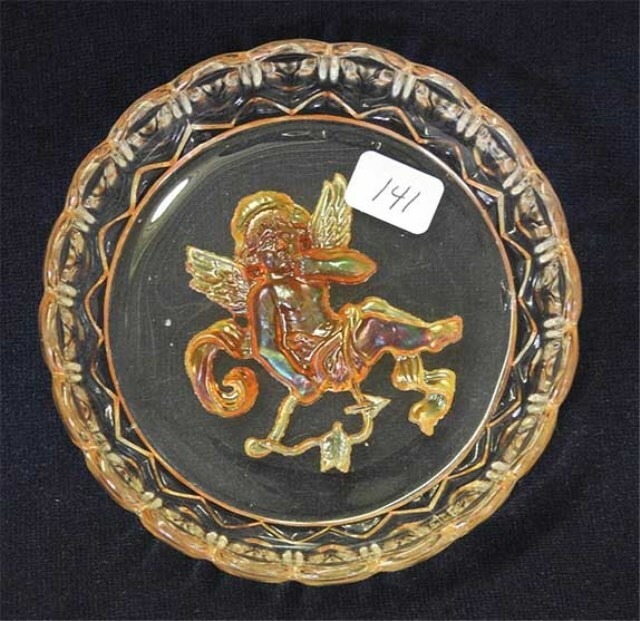 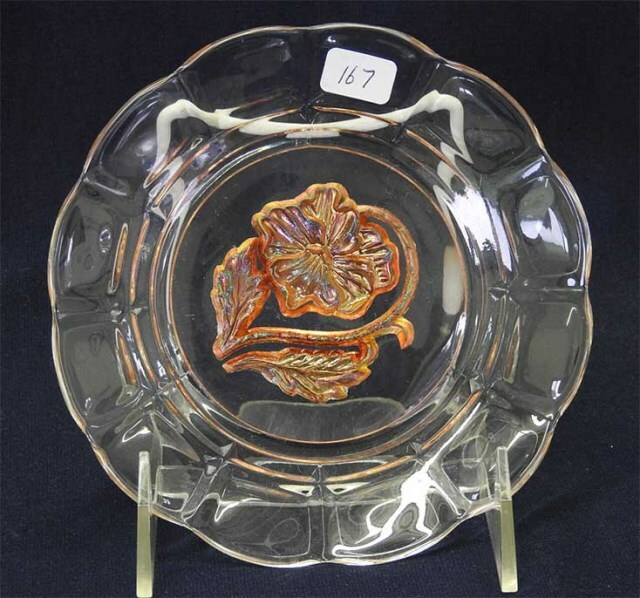 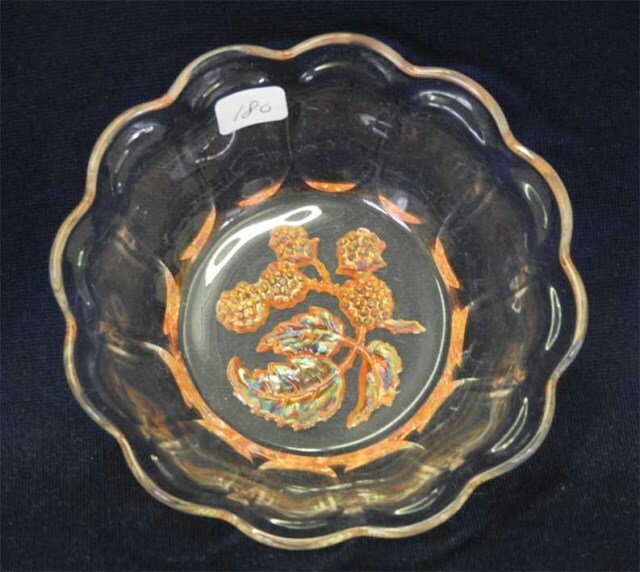 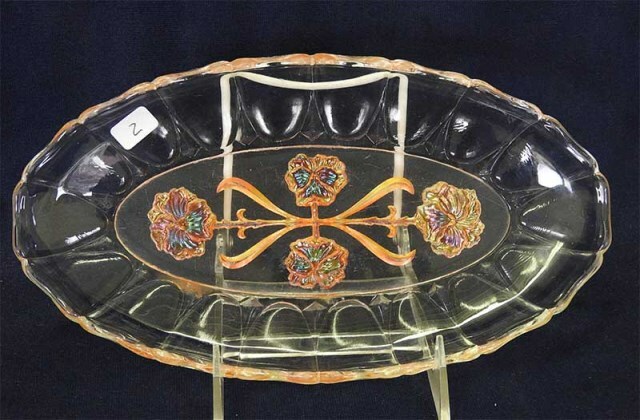 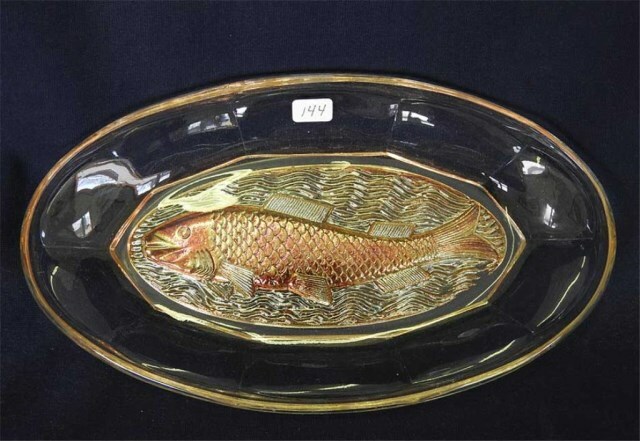 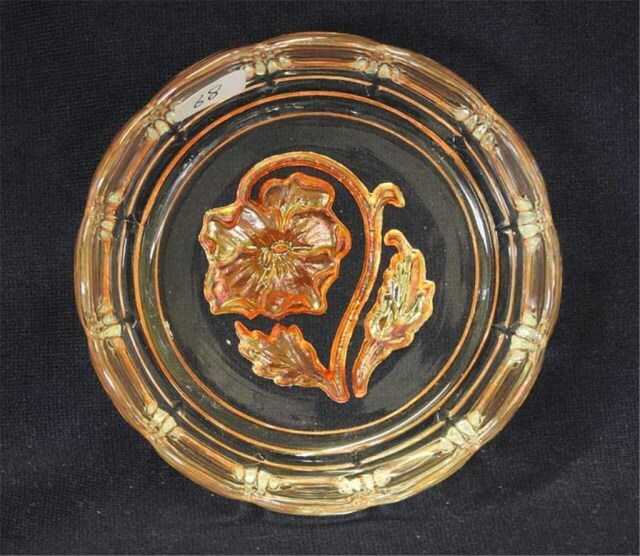 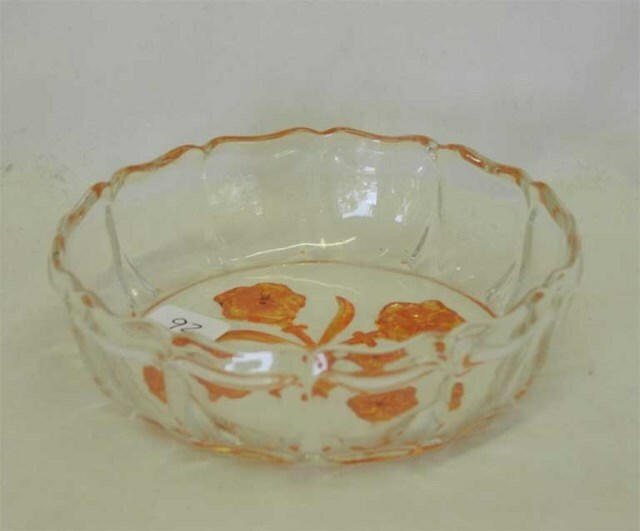 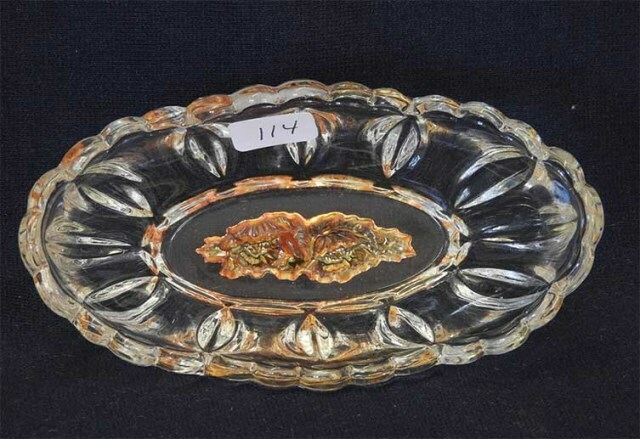 There are quite a few patterns done in this unique treatment with the pattern incised into the exterior base of the glass, and always in marigold. 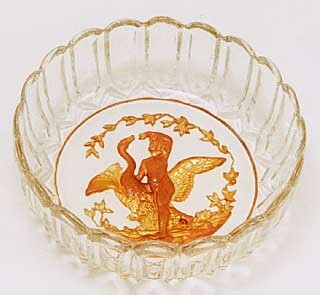 Here is another, called Golden Boy with Swan. 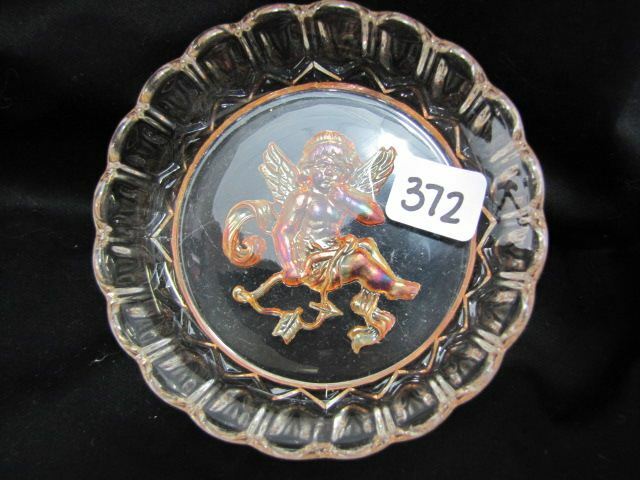 This example sold at auction in 1999 for $345 under the name Intaglio Boy and Swan (reportedly one of two known). 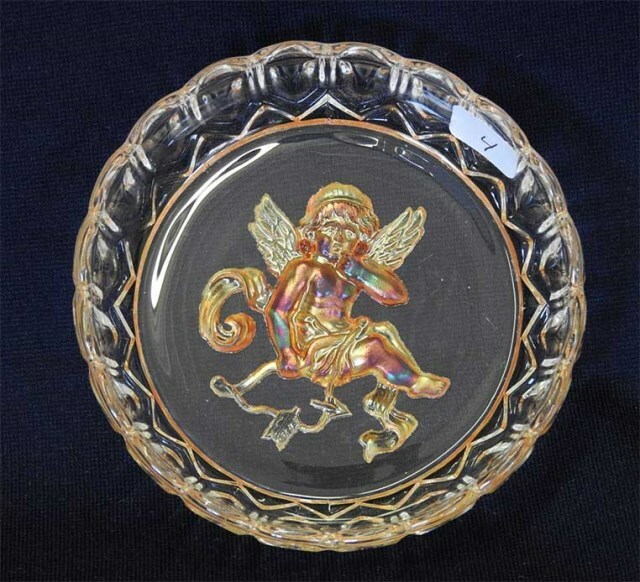 Other patterns that appear in this style include Diana the Huntress, and Golden Cupid. 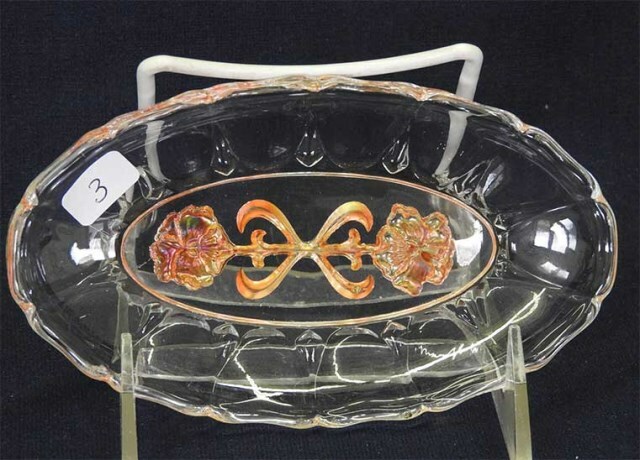 Above right is another interesting variation on the Golden patterns was sent by Michael and Cindy Ostrosky. 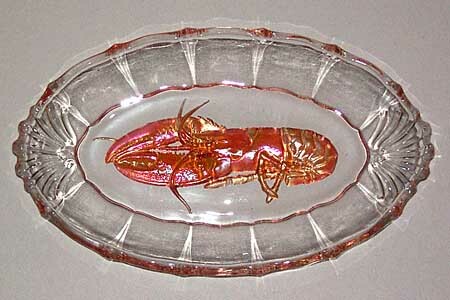 This is the larger version, 11 inches long by 6 1/2 inches wide. 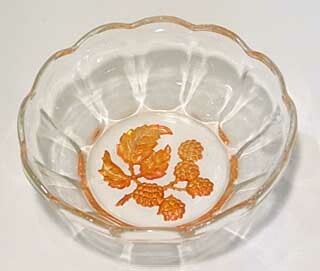 They also have five smaller bowls, 5 1/2 inches by 3 3/8 inches. 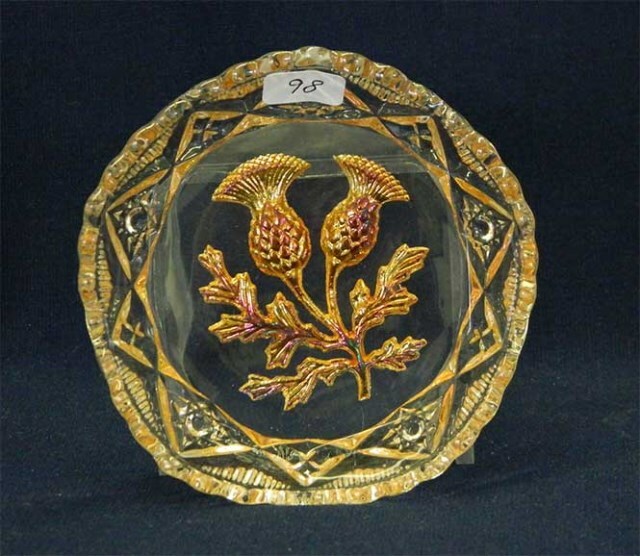 Note that the following prices reflect auction sales, often established more by the interest at that particular auction rather than intrinsic value.